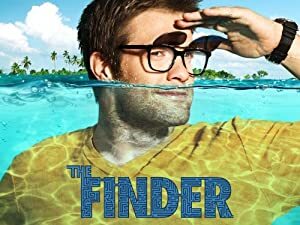 While looking for something to watch, I found a short-lived (one season) mystery show called The Finder. It’s a quirky sort of show — the sort of quirky I associate with Doctor Who (particularly the Tom Baker years) — about a former Army officer who suffered a brain injury in the Middle East that has given him extreme paranoia, a lack of social inhibition, and an uncanny ability to find anything from just a few clues. The show was (loosely) based on The Locator series by Richard Greener, but was presented as a spinoff of the TV show Bones (also based on a book series). I didn’t realize that until I saw the second episode and one of the Bones characters shows up (Dr. Sweets, evaluating whether or not the title character, Walter “the Finder” Sherman is insane and therefore able to still consult for the FBI and other federal agencies). Now, I make no secret of the fact that I’m not much of a Bones fan. The title character for that show, Dr. Temperance “Bones” Brennan,” is presented as a scientist devoted to rationality and empirical study and cites logic more often than a Vulcan, but the writers obviously don’t know any more about logic than Gene Roddenberry. I happen to be very good at that, and I spot logical errors faster than a crooked lawyer finds loopholes. When a character is presented as logical and completely fails at it, I get frustrated. Since the whole show revolves around Bones and her ability to look at things rationally, the whole show is tainted for me. I just can’t stand it. Cheese grater to the skin. As a mystery show, it’s presented a bit differently. Each mystery revolves around finding something — an object, a person, or even an idea. There’s usually a crime involved, but that gets solved only incidentally as part of the finding. Because of that, while it uses the traditional mystery structure, the presentation makes it very fresh. As much as I like the title character, though, he isn’t my favorite. He’s actually my third-favorite character. The best is Leo, his partner, legal advisor, and the owner of the bar The Ends of the Earth where clients can find the Finder. Leo is a lawyer, mostly muscle, and constantly quoting philosophy and legal codes. The actor (who unfortunately died of complications from a heart attack) has a perfect deadpan delivery that exactly counterbalances Walter’s Time Lord-style zaniness without making him seem stodgy or humorless. The second-best is Willa, a Gypsy delinquent working at The Ends of the Earth to serve out the terms of her probation. Her Romani “family” serves as a sub-plot for the series, culminating in one-half of a cliffhanger that you can see coming a mile away and still has an emotional impact. She’s simultaneously more and less mature than Walter, impatient as only a teenager can be, and grows to be an important member of the loose “team.” I expected her to be a pretty flat character at first, but the show gives her a surprising depth that really makes you sympathize with her and realize how torn she is about her life. The fourth main character is Isabel Zambada, a Deputy U.S. Marshal who serves as the law enforcement contact and Walter’s love interest. She wound up being the weakest character; not boring by far, but still not as good as the other three. Plus I kept noticing mistakes she’d make with her gun (including one error that I’ll place on the shoulders of the costume department but have no clue how they were so blind — namely, they put her small-of-the-back holster facing the wrong direction in one episode, as if she were left-handed). The show is only thirteen episodes long, and ends on a two-tiered cliffhanger. I won’t spoil it, but all four characters’ lives are shaken, possibly permanently. The problem is that you’ll never find out what happens next. If you’re looking for a different kind of mystery show, and particularly if you’re a Whovian who wants that zaniness on the off-season, head over to Amazon or Netflix and give it a try. Just remember, I warned you about that last episode. If you wind up watching the first twelve, you’ll want to watch the finale, and you’ll find the lack of a “next episode” button to be cruel and unusual punishment. Apparently, not even the Finder can locate the next season. The show has mixed reviews, though. I’m obviously an instant fan, but let me know what you think in the comments below, or over on Facebook.